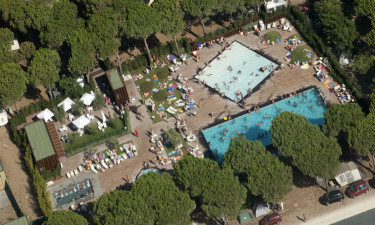 Located on the Mediterranean coast in Tuscany, Orbetello Camping Village is a camper’s paradise. This luxury camping site has something for everyone to enjoy and has a wide range of activities and amenities to keep the entire family entertained throughout your stay. Book now with LUX-camp and experience the camping holiday of a lifetime. 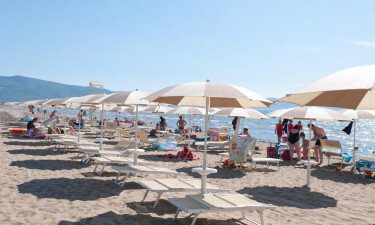 Why camp at Orbetello Camping Village? The friendly animation team have a fun-packed entertainment schedule for guests of all ages. Get involved in a wide range of sports activities from football, archery and tennis to water aerobics and volleyball. After a long day soaking up the sun or exploring the surrounding area, sit back and enjoy the fabulous evening cabarets that run from the end of May until mid-September. With so much to do and so many activities to take part in, you are sure to find something to keep you entertained. This luxury camping site has its own private beach where guests can hire a sun lounger or a deck chair and soak up the sun while watching the little ones run around and enjoy themselves. If you prefer to be more active, there are also free beaches on site that offer a wonderful selection of sports activities and competitions. 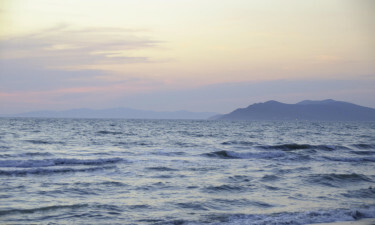 For those who want to venture a little further afield, take a short walk along the coast to the nearby town of Orbetello where you can indulge in some traditional cuisine at one of the many enticing restaurants, and visit some of the spectacular sixteenth-century buildings such as Mura Ciclopiche and Polveriera Guzman. 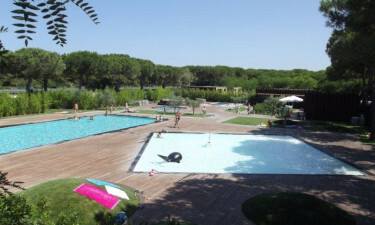 If lazing around a pool is your idea of heaven, then look no further, for Orbetello Camping Village has a semi-Olympic pool with a modern twist. As well as the large main pool where guests can swim and participate in various sports activities, there is a spacious wooden solarium where campers can soak up the sun. There is also a pool bar that serves drinks and snacks throughout the day, and whirlpools and Jacuzzis for a spot of relaxation. The younger children will be thrilled with the smaller baby pool and parents can sit back and watch the little ones run around and have fun. Take a break from the cooking and treat the family to a night out. Open to all guests, including those staying in mobile homes, Il Veliero is a fantastic onsite restaurant that offers breakfast, lunch and dinner, daily. The menu is comprised of a selection of traditional food, international dishes and delicious, freshly made pizzas. After a long action-packed day, you may not be in the mood for cooking or dining out, so the fact that this high-quality restaurant offers a takeaway service is a nice added bonus to this luxury camping village. There is an onsite shop that offers everything you could possibly need during your stay, from groceries and toiletries to souvenirs and camping necessities. The town of Orbetello is only a short distance away if you fancy a wider range of shops.